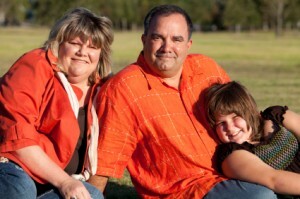 Is obesity contagious? – Health News Updates! Researchers out of Arizona State University recently published an article in the American Journal of Public Health titled, “Shared Norms and Their Explanation for the Social Clustering of Obesity.” It looked at why obesity seems to be common in some families and groups of friends. Along the lines of the old saying, “Birds of a feather flock together,” the study showed people do cluster according to size, but with few clues to help explain why. Yet, it’s interesting. Most people don’t want to be obese. Study participants offered that given the choice, they’d choose a pretty serious disease – alcoholism, depression or herpes as examples – instead of obesity. In fact, 25.4% preferred severe depression, and (incredibly) 14.5% would rather be totally blind than obese! So, why are they stuck? Does a rising frustration level from past dieting efforts result in permanent discouragement and a resolve to be fat? Or, is “misery loves company” another “clustering” clue? My son used to have a perfect boy. He married; wife was pleasingly plump; then she began putting on lb upon lbs and in a few years my son began doing the same. Their sizes equalled each other and they are very obese; she more than he!! They eat out alot. I feel wife is happy that husband has reached her size…; wife has a hacking cough and I believe that is how my son began the fat regime. I believe obesity IS CONTAGIOUS.